I had completed training on Oracle Fusion in this institute which is provided by the excellent trainer. He is very friendly with students and easy to connect, he has very good knowledge in teaching on Oracle Fusion Applications. Each topic was explained clearly by him. This is the best place to get training on any suite of Oracle Fusion Applications. Thank You for offering such an excellent training for students and I really recommend you to get training in ERPTREE training center. 3. It’s a great value to get training on Oracle Fusion application through online training with such a great experience trainers. I really got good knowledge and experience from well-certified trainers of ERPTREE and they are very cooperative during the training period. The complete learning experience was really excellent from this institute and provides good stuff regarding fusion application. Online training was really good. I appreciate the trainer for sharing such useful information and I am inspired by you. Online Training on Oracle Fusion HCM session was very practical and the way of teaching and explanation was really very good. Overall had a great experience with ERPTREE. The complete learning experience was really excellent from this institute and trainers provide good stuff on Oracle Fusion HCM application. Online training was really good. Thank you for online trainers for giving step by step process while teaching and I appreciate them for sharing such useful information with students. I have completed Oracle Fusion Procurement course from ERPTREE. The class is very interesting to me. The trainer was excellent, a good mentor and explained each and every step. The clear explanation of concepts, good sense of progression through the topics, and most of all making it relevant to real work situations, so I was able to walk away with some solutions to various challenges. I highly recommended you to take part in this institute for great future and I would like to thank our Oracle expert and ERPTREE. Making us to learn from basics, and mandatory presentations gave much confidence and grip on subject, thanks for maintaining systems and server effectively for practice. Fusion training at ERPTREE is really awesome experience, Thanks to Mr.Laxman who was the instructor to the training program, I appreciate Laxman patience & product knowledge levels. Oracle Fusion Human Capital Management is also termed as Oracle Fusion HCM which is a component of Oracle Fusion Applications which sets a new standard for modernization and work. It is used to manage and deliver benefit objectives to an organization. Fusion HCM was designed from the earliest stage to help your firm know its people better, act as a group, and do things the way you need them to be finished. We offer Oracle Fusion HCM Training across all over the world to students with our mentors. 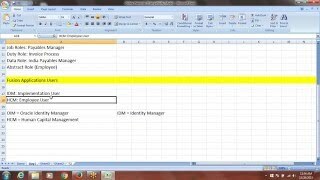 We also contain training video recordings on Oracle Fusion HCM application. Our training can be accessed from anywhere at any time throughout the world. Oracle Fusion Supply Chain Management is named as Oracle Fusion SCM which is a modular suite of Oracle Fusion Applications it is a next-generation application that builds upon Oracle best of type SCM product suite to address present business challenges. Oracle Fusion SCM can change your business procedure by conveying a view for an item request, supply, and satisfaction of the arrangements over an association. It is a product item which is comprised of different modules which are important to run a smooth supply chain. Our Oracle Fusion SCM Training for students can be accessed from anywhere in the world. Our trainers deliver top quality of information on Oracle Fusion SCM application. Oracle Fusion Procurement is a component of Oracle Fusion Applications which is completely open, standards-based enterprise applications that can be integrated with service-oriented architecture. It is built as a complete suite of modular applications, which help to improve performance, lower costs, and achieve better results. It is totally open, standard-based undertaking application that can be effectively coordinated into a service-oriented architecture. At our ERPTREE we also provide Oracle Fusion Procurement Training with real-time experienced professionals in teaching fusion procurement applications. Our trainers concentrate on showing applications with different strategies and methods on specific ideas to learn in a simple way. Oracle Fusion HCM Technical application provides users with the information they require, enables them to take action in the context of meaningful business information and understand the predicted impact of those actions. Oracle Fusion HCM Technical gives uncomplicated, keen route, and allows basic finishing of complex workforce process that is effortlessly designed to keep up everything from thousand individuals worldwide to little associations. Our Oracle Fusion HCM Technical Training will be taught by our trainers to work smarter on a secure and international level. Our trainers are persuading and fascinating, additionally, offers simplified preparing techniques. We offer our training over all major locations of the globe. We offer Oracle Financials Training for students. Our teaching style is acknowledged all through the around the world and we are said to be leading trainers from data innovation. We contain training videos on Oracle R12 Financials application. Oracle R12 Financials application automate and update all your financial business processes for enterprise-wide, daily business intelligence that lets you make more informed decisions, improve operations, and lower costs. These are running on Oracle technology which gives you scalability and leading performance. Oracle R12 Financials application puts together a bunch of common features to form an integrated application build to execute particular business processes. Hi, This is Santosh from Vijayawada. I had Enrolled Oracle Fusion SCM at Erptree. It has good trainers who had experienced in teaching online for more than ten years. And the cost of the course is very low. They had well skill trainers. They prepare the course content such that it matches to the current requirement of the industry. The trainers have well experienced in the real projects and share the knowledge with the students through On-line . They are well aware of teaching in different parts of the globe. It is one of the best On-line training Institute for SCM. It has real-time trainers. Who has more than ten years of experience in Coaching? It helps the students in placement for the job in Oracle fusion SCM. The way of teaching is brilliant. And they provide self-paced videos at instance fusion access which helps the students in learning. Hi, I am Nayana from Bengal. Erptree is one of the best Institutes for the On-line training. It delivers high quality of information to the students from the beginning level to the advanced level. It teaches the student with the good explanation. It provides you the great knowledge in learning and provides you the videos at instance access. They are well experienced in teaching you through On-line. if you are looking to build you are a career in Oracle fusion SCM. Then Erptree is one of the right choice to build you are a career in Oracle fusion SCM. I have searched various Institutes for SCM On-line training. But I Find Erptree as one of the best for SCM. It has a good way of teaching. It teaches the student with good examples which helps the student in learning. Hi, I am Swapna from Gujrat. It has well expert trainers who have more than ten years of experience in training. They aim to prepare the student for real projects. They are good experts in real projects. Hi, it is Vinod from Delhi, Today I am well expert in SCM. I had learned through On-line at Erptree. They provide us with self-paced videos at instance fusion access which helps the students in learning. They can access the videos at their convenient time. I am Harsha From Bhopal. I have completed my SCM -Online training at Erptree. Where I Find Erptree faculty as one of the best. They have a good way of teaching to the students. It prepares the student for the real projects. They have well experts faculty who has well experienced in coaching the students through On-line. The way of teaching is excellent. They teach the student each and every point clearly. The way of Communication is Excellent. The faculty has the real time experienced in real projects. The aim of the faculty is to prepare the students for real projects. It prepares the course content such that it matches to the real business trade. The faculty teaches the student in a good method. This is Vijay, I have Enrolled Oracle fusion SCM training through On-line at Erptree. It has well Expert faculty who has more than ten years of Experienced in teaching through On-line. It provides self-paced videos to the students which helps them to learn. Hi, I am Madhu. I have learned Oracle fusion HCM through On-line at Erptree. I want to share my experience of erptree with you. The way of explanation was very good and teaches step by step to the students. And clarifies each and every dot of the student. It has well expert trainers who have experience of teaching for more than ten years in Oracle Fusion HCM. They have real time experts with good communication and skills and provide with self-paced videos at instance fusion access which helps the students in learning. Hi, this is Anuj from Noida, Erptree is well reputed On-line training Institute with high talented trainers. They assist the students in placement for the job for Oracle Fusion HCM. Provides high quality of information to the students. A good method of teaching towards the students. 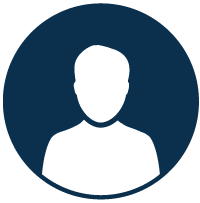 Hi, this is Vishnuvardhan from Chicago, Erptree has real-time faculty who has experienced in real Projects. It has more than ten years of trainers who had experienced in teaching through On-line. They have well experienced in teaching in different parts of the world. If you are looking to build you are a career in Oracle Fusion HCM. Then Erptree is one of the right choices to build you are a career in Oracle Fusion HCM. They provide you with the top quality of Information from basic to depth in Oracle Fusion HCM through On-line. Hi, I am Sadgun, I have learned Oracle Fusion HCM at Erptree through On-line. It provides with self-paced videos at instance fusion access which helps the students. You can use these videos at your convenient time. It has real-time faculty who has experienced in real time Projects. On-job professionals can become an expert through the classes. We deliver the high range of information to the students. The aim of the Erptree is to prepare the students for Real Projects. We prepare the course content such that it matches to the real requirement of the industry. Hi, I am Vikas from Lucknow. They are well skill trainers. They deliver the knowledge from starting level to the beginning level. And teaches the student with good examples which helps the students in learning. And provide with self-paced videos at instance fusion access. 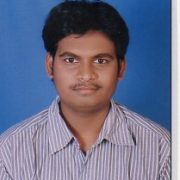 Hi, this is Anurag from Chennai; I have Enrolled Oracle Fusion HCM through On-line at Erptree. I have satisfied with the trainers and their explanation towards the subject. And has more than ten years of experienced in Coaching to the students. Here we have well skill On-line trainers who had experienced in real time Projects. They share the real-time knowledge with the students. It is placed where we can develop Ourself in learning. We have one of the best On-line trainers who had experienced of teaching for more than ten years. They deliver with self-paced videos at instance fusion access which help the students in learning. The way of Communication and teaching skills is very good. ERPTEE has well-certified management who has experience of coaching for more than ten years in teaching. The way of teaching is excellent and teaches the student in a Simple Method. And provide with good examples which helps the students in learning. 5/5 rating, based on 25 Professionals and Students Reviews.